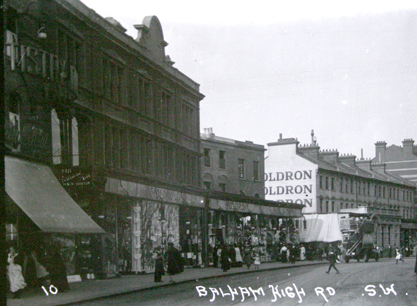 These photographs show the redeveloped section of Balham High Road thirty years after the Musgroves were living at Bedford Lodge. 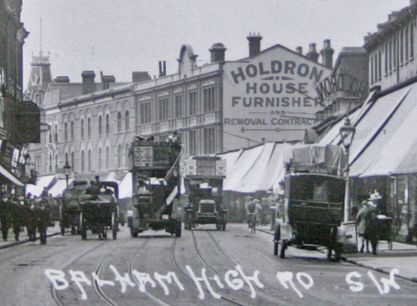 The Musgrove's house was one of four properties called Lodges which had been demolished with Balham House in the 1880's. 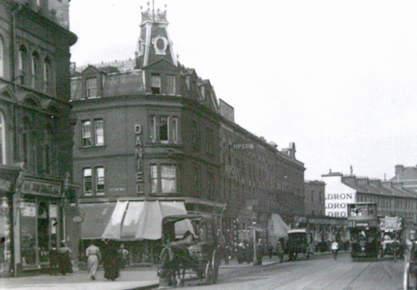 It appears that Grove lodge was retained and almagamated into the new parade of shops called Balham Court Terrace that extended between Ramsden Road and Balham Grove. 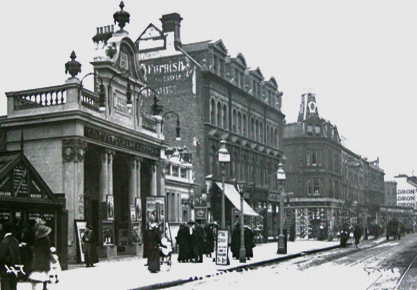 The photographs show the view along the High Road from the Picture Theatre. 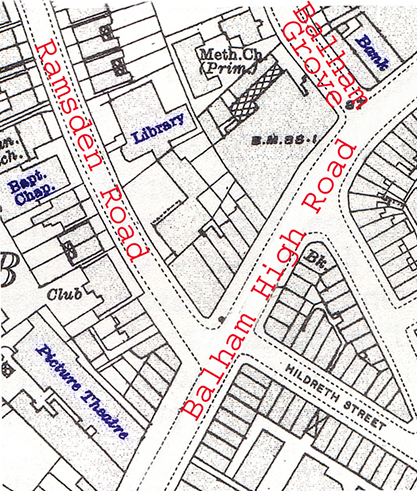 The 2nd shows Daniels Shop on the corner of Ramsden Road. The 3rd shows Grove Lodge set back from the road and the 4th shows the terrace from the opposite direction.